Adrian is a friend of Swoop and a seasoned travel writer. In November 2016 he journeyed down Chile’s southern highway, the Carretera Austral. He tells us what makes it one of the world’s great road trips. I’m a travel writer, which means I’ve swanned around some glamorous places over the years in the name of writing wafty prose about my experiences. 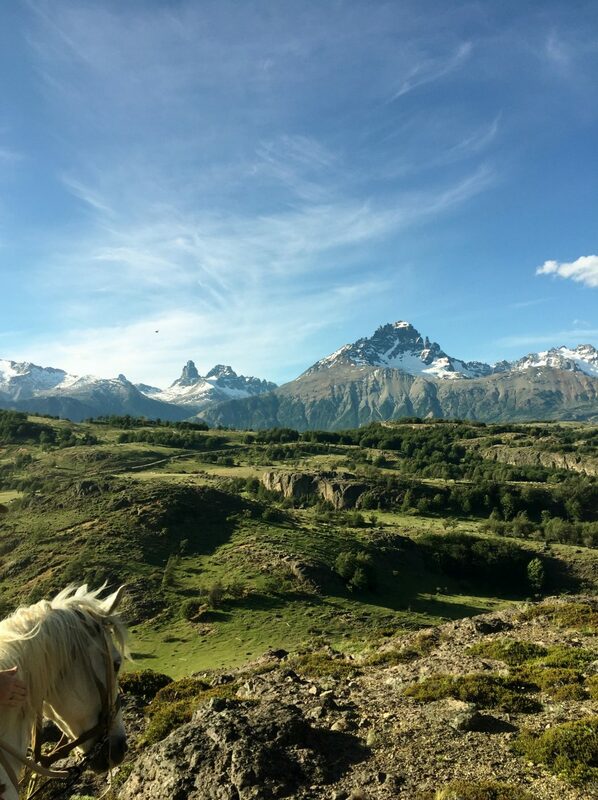 But my journey down Chile’s southern highway last November with Swoop Patagonia ranks among the most invigorating, challenging, absorbing – heck, downright soul-satisfying – that I’ve ever taken. It blew my socks off. 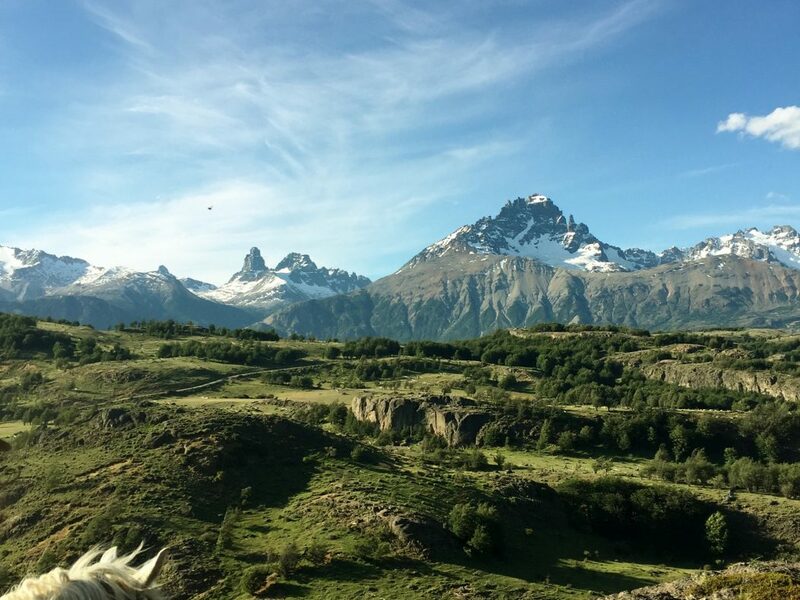 And as I watched my socks fly off into the Patagonian landscape, I concluded that Ruta 7 – or the Carretera Austral – offers one of the world’s great road trips. The road a highlight of a road trip?! Talk about the flipping obvious, I hear you cry. But actually it’s a route that shouldn’t make for a pleasant drive. Most of it is untarmacked, a ribbon of humps and bumps that rattles your teeth, coats everything in dust, and flings stones against the wheel arches. It’s enough to make a panel-beater’s blood run cold. You’re in a hire car, though, so let someone else fret about the paint chips. Instead you can concentrate on the thrill of the ride, the drift beneath the tyres, and the sheer magnitude of the scenery rolling alongside, from grey-blue mountain silhouettes to dripping tangles of rainforest and roaring rivers that appear mere trickles in their valley floors hundreds of metres below. 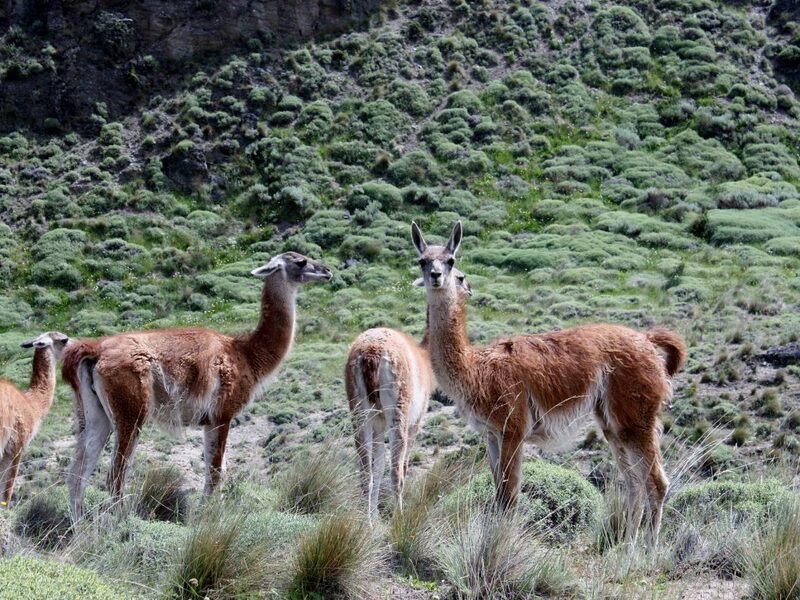 I’m no equestrian (unless you count seaside donkey rides as a toddler), and so the prospect of a two-day horse-trek through the Andean foothills loomed full of potential disaster. But I couldn’t have been in safer hands than those of Christian – a real-life horse-whisperer – and his wife Mary, who run tailored trips for riders of all abilities along the forested cattle trails around their home in Villa Cerro Castillo. My horse, Negra, was a walking wind machine, but she was also gentle and unfailingly tolerant of the clumsy novice clinging to her back. We saw woodpeckers and fox cubs among the lenga trees, climbed to a windswept plateau with views over the crenelated mountain range, and spent a night under canvas after a meal of fish cooked in the campfire. 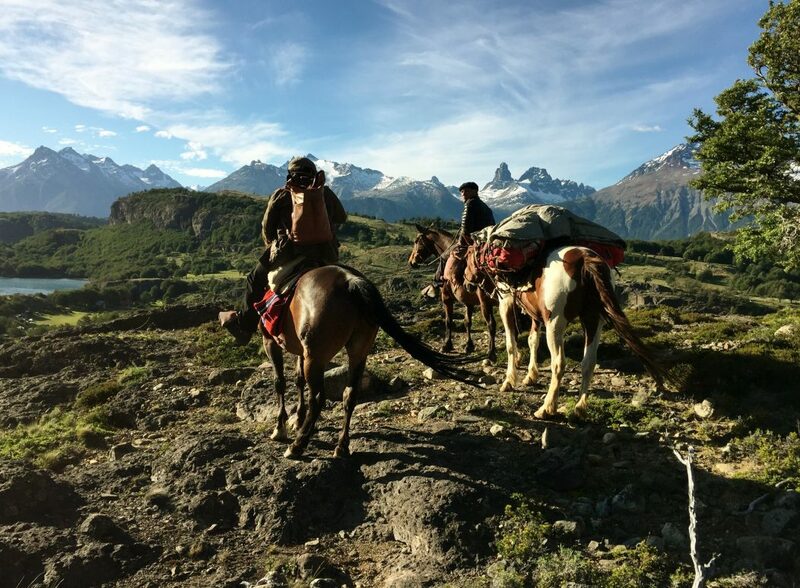 The original pioneers arrived in the Aysen region on horseback, and there’s no better way to give yourself a proper dunking in its beauty and silence and fickle weather. 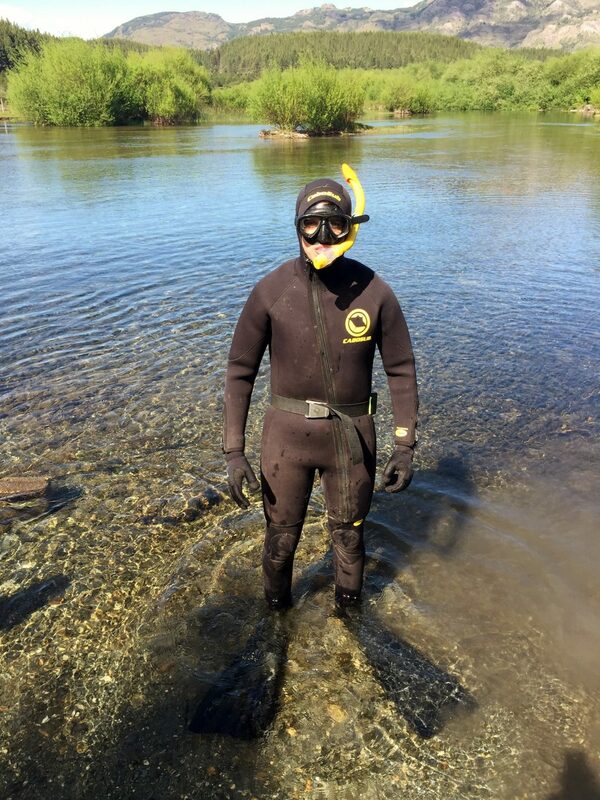 Talking of dunking, the most unexpected activity of my trip was undoubtedly the afternoon I spent river snorkelling. 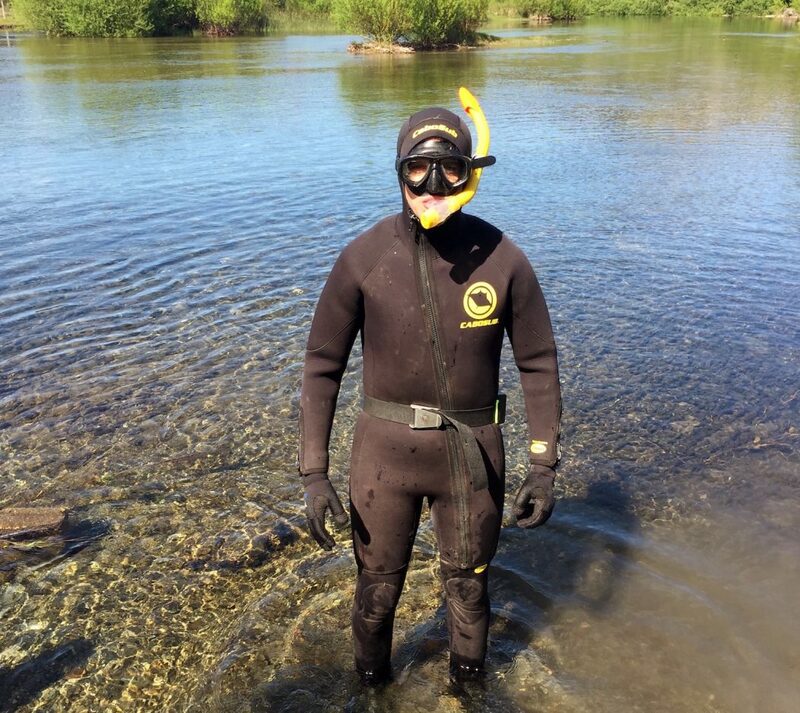 Yes, river snorkelling. No, I’d never heard of it either! 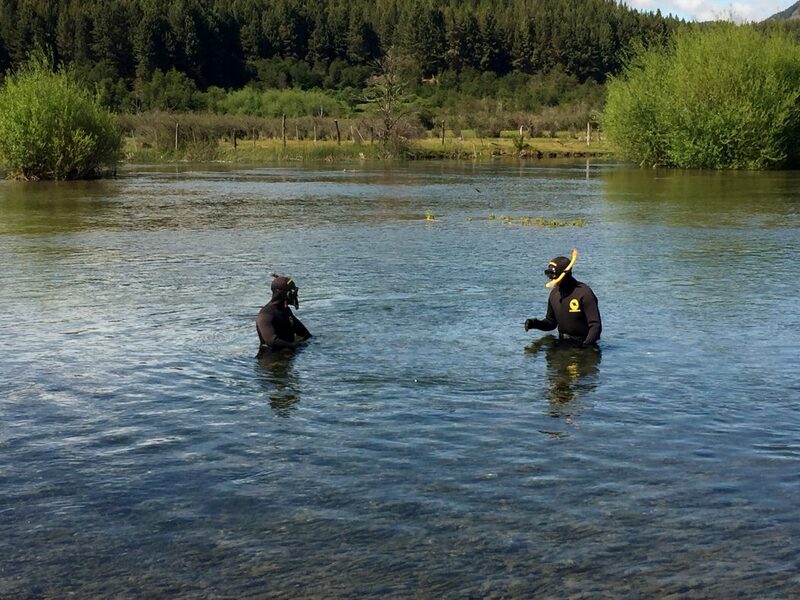 After folding me into a wetsuit, the well-toned Jorge led me to the river that skirts the town of Cochrane. 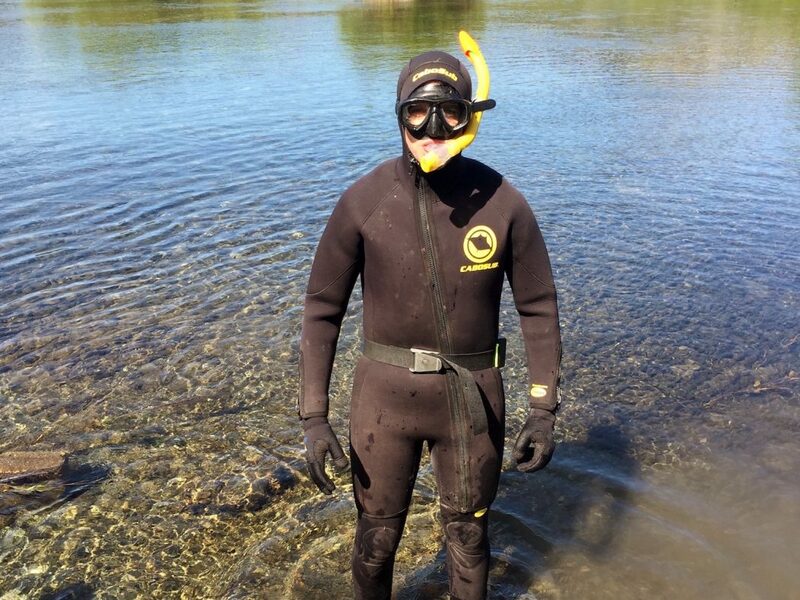 Snorkelling in Chile isn’t quite like snorkelling in the Maldives. 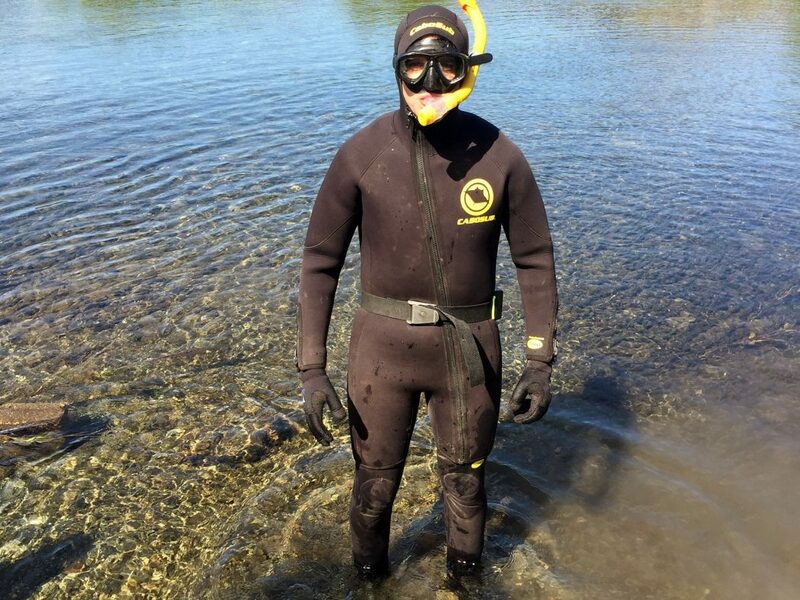 For a start, the water temperature is 5℃ rather than 25℃, which even the hardiest of souls would have to concede is ‘bracing’. There’s silt and waterweed instead of technicoloured coral, and the only fish you’ll see are gaping-mouthed trout swimming against the current. But this very novelty makes it a pleasure. It’s fascinating to get a fish-eye view of a riverbed, to cruise above its fallen tree trunks and silver boulders, and to fin along secret channels through forested tunnels. And when Jorge revealed that he takes school children on monthly snorkelling expeditions to clear the river of any litter, it warmed the cockles of my heart. My other cockles remained on the chilly side, but you can’t have everything. Fortunately, I stayed above water during my boat trip to the southern ice-fields. Only Greenland and Antarctica have larger ice-sheets than Patagonia, and if you’ve never come face to face with a glacier then you’d be foolish to miss the opportunity here – it’s a genuine ‘must-do’ (regret-it-forever-if-you-don’t) sort of excursion. After a two-hour high-speed journey down the Elefantes Canal from Bahia Explorades, we rounded a bend and made a final, more sedate approach towards the snout of the San Rafael Glacier. And what a snout. It measures nearly 1½ miles across and over 250 feet high, the front of a glacier that stretches 30 miles back into the mountains. The air temperature plummets as you get closer, and there’s an oppressive stillness that’s only accentuated by the echoing groans of the ice. What everyone’s holding their breath for, though, are those moments when huge walls of ice collapse into the lagoon. Such moments start with a whip-crack that splits the air, after which a section slides sharply down to the water with a boom that pummels your chest. It’s a spectacle of nature at its most powerful, and one our captain encouraged us to toast with whisky drunk from chunks of ice he scooped from the lagoon and hollowed out with his knife. 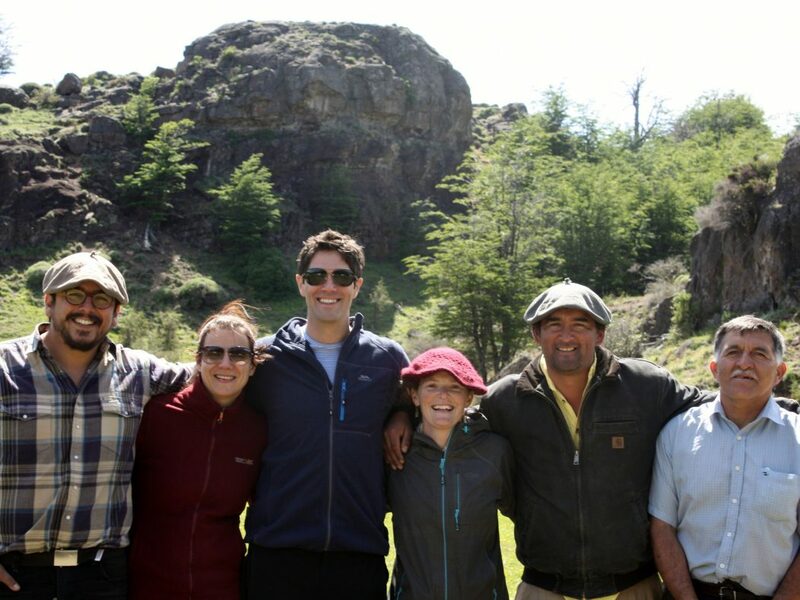 While Patagonia is home to nature at its most powerful, it also finds room for nature at its most weird and wonderful. ‘Viscacha’ sounds like a sneeze, but it’s actually the name of a pot-bellied, rabbity-squirrely thing (or, if you’re being nit-picky, a species of chinchilla) that lives among the rocks. 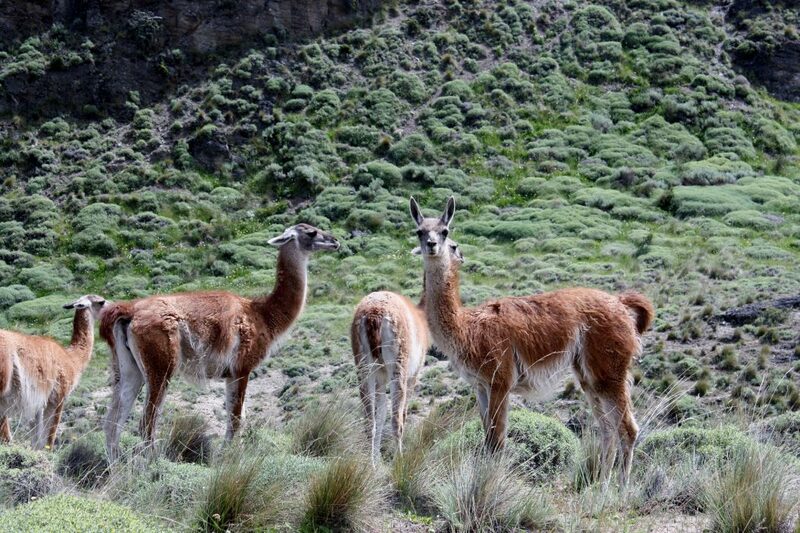 Parque Patagonia is the place to see the llama-like guanacos – scores of them – with their bulging eyes and elongated necks, while you might also spot a flightless bird called Darwin’s rhea, which stands over three feet tall and can reach 40mph when running at full tilt. The best-known bird, though – Chile’s national symbol – is the Andean condor, a vast creature with wings like wardrobe doors and a face that only the mother of an Andean condor could love. On my final day, I was driven at dawn to the top of a ravine where 50 condors roosted on the cliffs below. Watching them wake and take flight on the morning thermals, gliding elegantly along the valley edge just a few feet from where we stood, was an extraordinary experience. 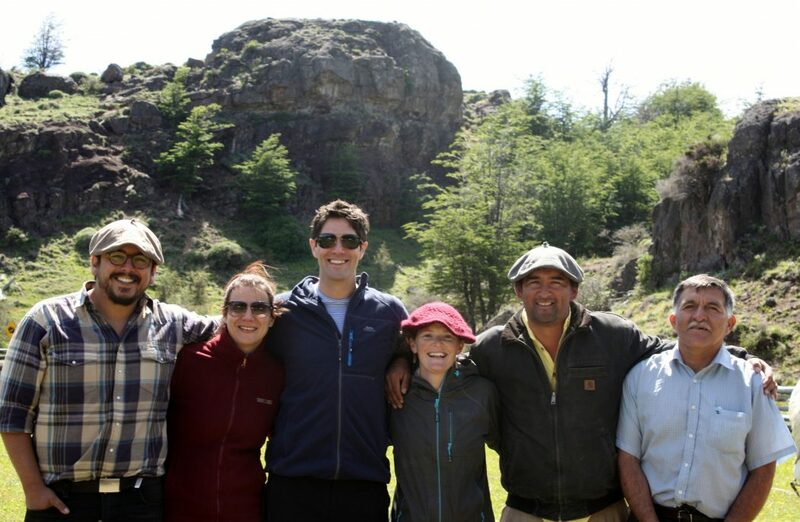 Yes, another extraordinary experience, just one among several during my sojourn along the Carretera Austral. When it comes to extraordinary experiences, this is a corner of the world that has a big, beetroot-faced embarrassment of riches. Adrian is Managing Director of Bradt Travel Guides, founded more than 40 years ago and now the UK’s largest independent guidebook publisher. Bradt publishes the only standalone guidebook to Chile’s Carretera Austral. In addition, Adrian is an award-winning travel writer and broadcaster with a particular interest in outdoors/adventure travel, and has covered everything from swamp walking in the Everglades and seafood safaris in Sweden to canopy walking in Canada and natural navigation on the Sussex Downs. He has a particular soft spot for Hungary, having written several guidebooks on the country (and subsequently marrying a Hungarian!). 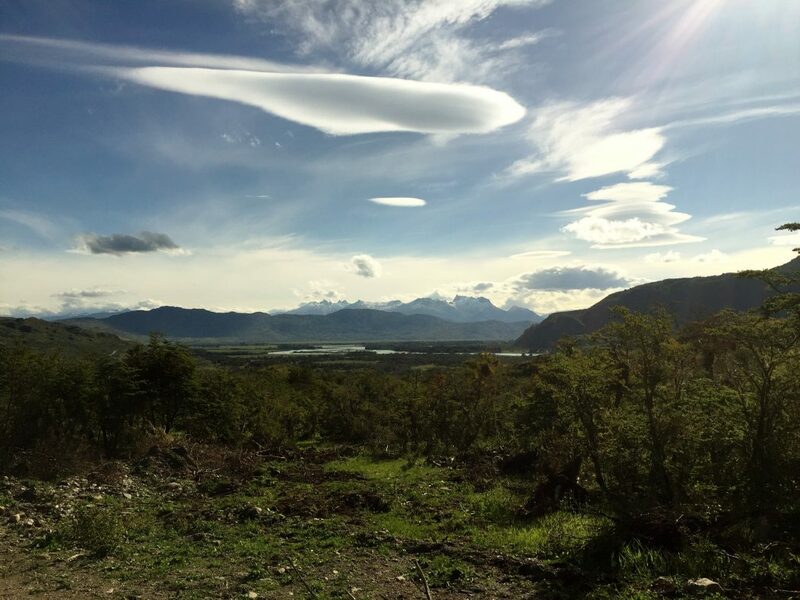 In November 2016 Adrian travelled to Patagonia to discover the Aysen region.